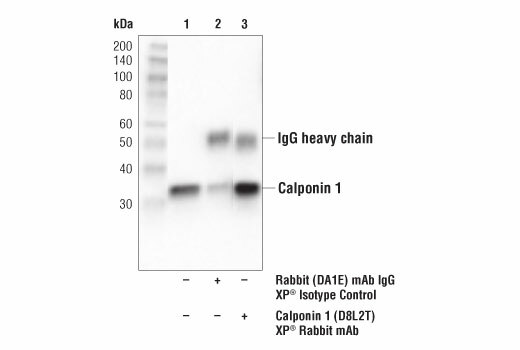 Background: Calponin 1 is a member of the Calponin family, which consists of Calponins 1, 2, and 3. 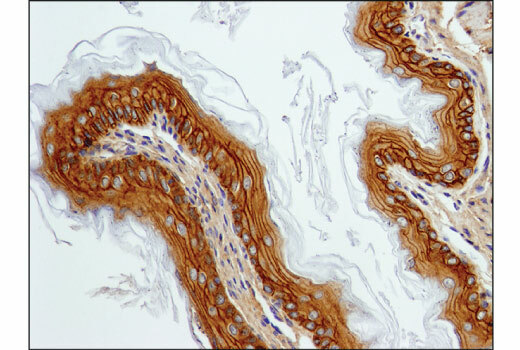 Calponin 1 is exquisitely expressed in smooth muscle cells of various tissues, where it interacts with filamentous F-actin to regulate smooth muscle contraction (1). 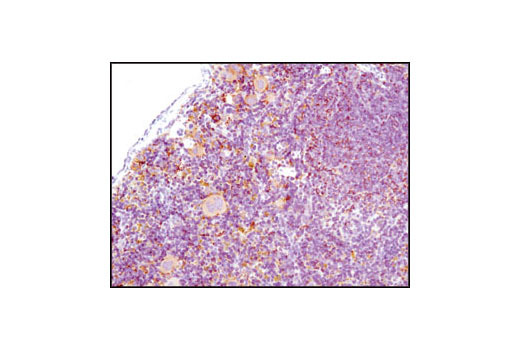 Background: HS1 (HCLS1, LckBP1, p75) is a protein kinase substrate that is expressed only in tissues and cells of hematopoietic origin (1,2). 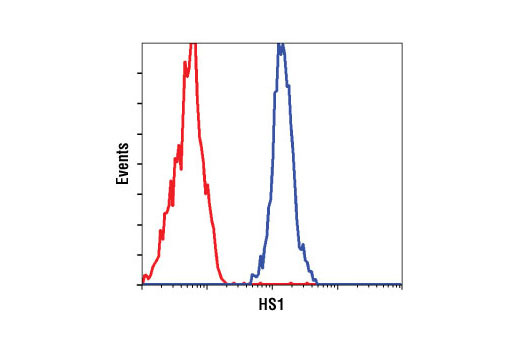 HS1 contains four cortactin repeats and a single SH3 domain (2). 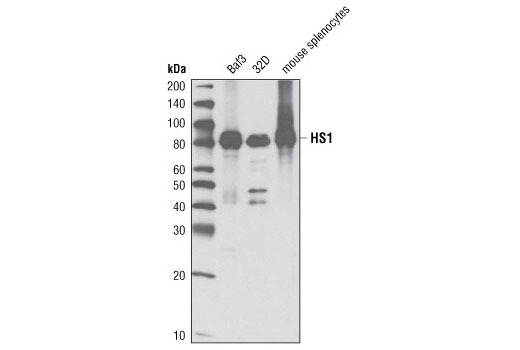 This intracellular protein is phosphorylated following immune receptor activation, which promotes recruitment of HS1 to the immune synapse (3-5). 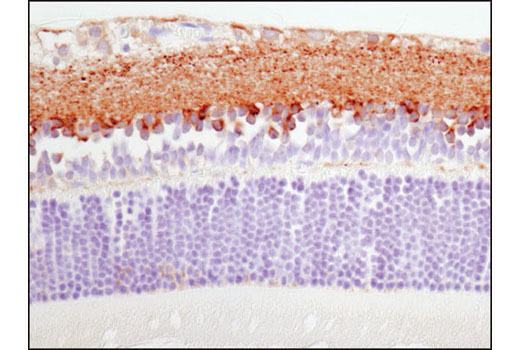 Phosphorylation of HS1 is required to regulate actin dynamics and provide docking sites for many other signaling molecules, such as Vav1 and PLCγ1 (6). 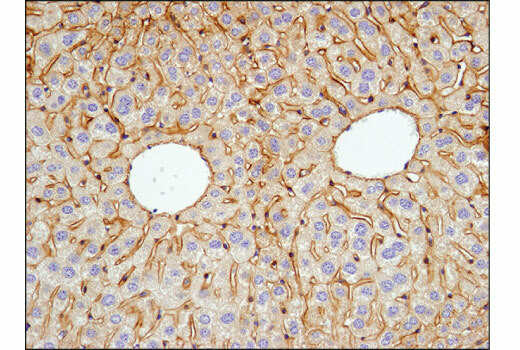 HS1 also plays an important role in platelet activation (7). 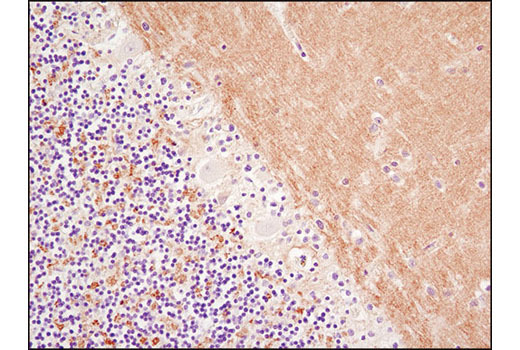 Background: The SHANK family proteins, also known as proline-rich synapse-associated proteins, consist of SHANK1, SHANK2, and SHANK3. 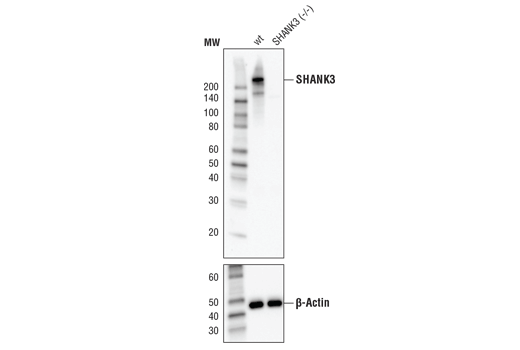 SHANK proteins act as scaffolds at the neuronal post-synaptic density (PSD) (1), where they play a critical role in PSD assembly of excitatory synapses during development (2). 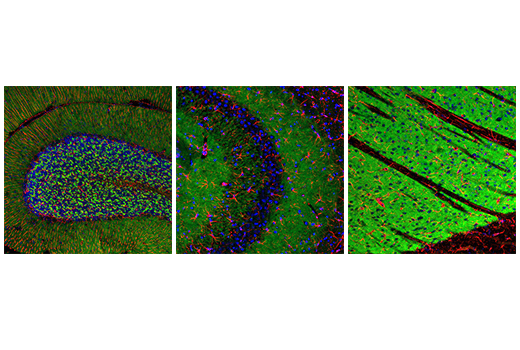 While recruitment of SHANK proteins to the synapse is independent of their interaction with Homer (3), proper synaptic targeting of SHANK1 is mediated by interactions between its PDZ domain and PSD proteins (4). At the synapse, SHANK proteins interact with NMDA receptors and metabotropic glutamate receptor complexes (5). 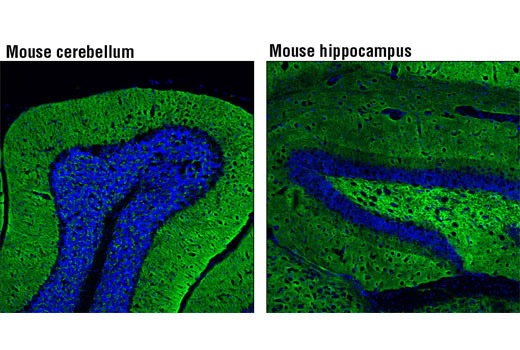 Research studies have proposed the involvement of SHANK proteins in autism and neurodegenerative diseases (6). 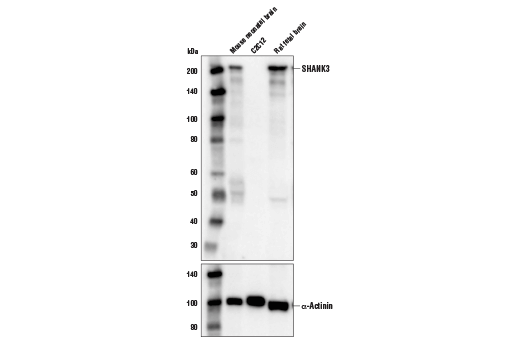 Background: Anion exchange protein 1 (AE1), also named solute carrier family 4 member 1 (SLC4A1), is an anion transporter that mediates chloride-bicarbonate exchange in the kidney and regulates normal acidification of the urine (1,2). A different isoform of AE1 is a major integral membrane structure protein of erythrocytes, where it plays a critical role in the removal of carbon dioxide from tissues (3). 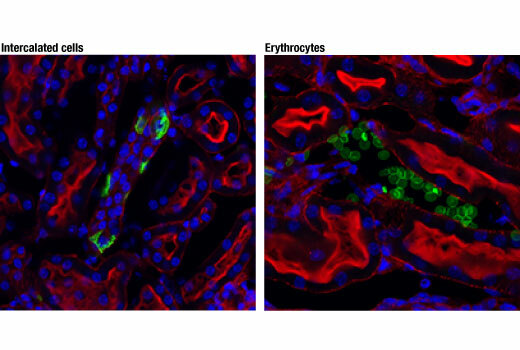 In addition, AE1 is required for normal flexibility and stability of the erythrocyte membrane. 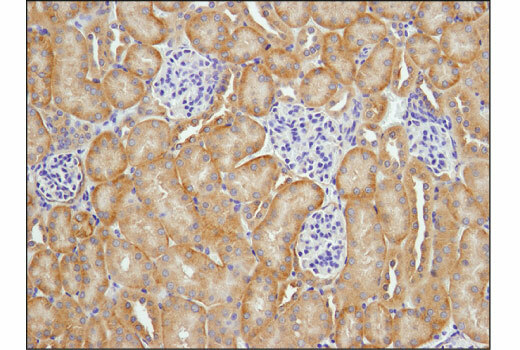 Mutations in SLC4A1 can lead to hereditary spherocytosis, ovalocytosis, and distal renal tubular-acidosis (4-7). Other mutations that do not cause disease became novel blood group antigens, which are part of the Diego blood group system (8). 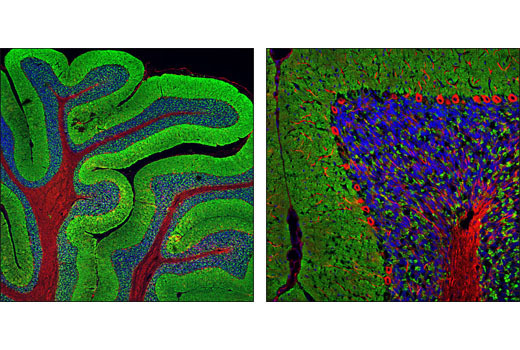 Background: Synapsins, a group of at least five related members (synapsins Ia, Ib, IIa, IIb, and IIIa), are abundant brain proteins essential for regulating neurotransmitter release (1,2). 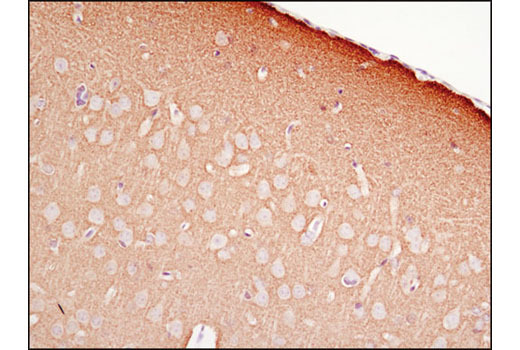 All synapsins contain a short amino-terminal domain that is highly conserved and phosphorylated by PKA or CaM kinase I (1). 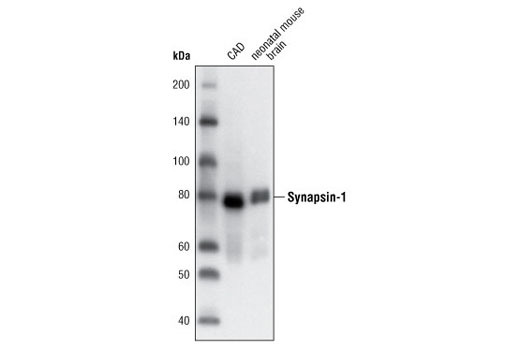 Phosphorylation of the synapsin amino-terminal domain at Ser9 inhibits its binding to phospholipids and dissociates synapsins from synaptic vesicles (2). 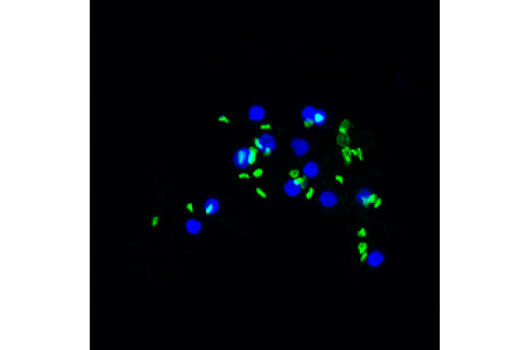 This Cell Signaling Technology antibody is conjugated to Alexa Fluor® 647 fluorescent dye and tested in-house for direct immunofluorescent analysis in mouse and rat tissues. 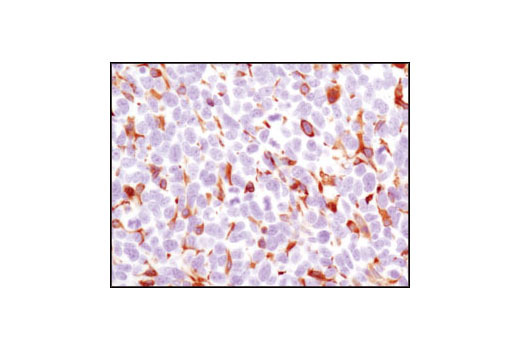 The antibody is expected to exhibit the same species cross-reactivity as the unconjugated Synapsin-1 (D12G5) XP® Rabbit mAb #5297. 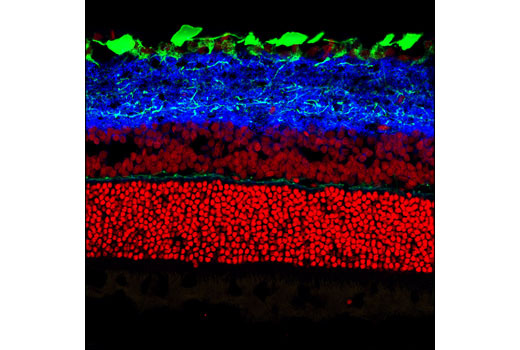 Background: The epidermal growth factor (EGF) receptor is a transmembrane tyrosine kinase that belongs to the HER/ErbB protein family. Ligand binding results in receptor dimerization, autophosphorylation, activation of downstream signaling, internalization, and lysosomal degradation (1,2). 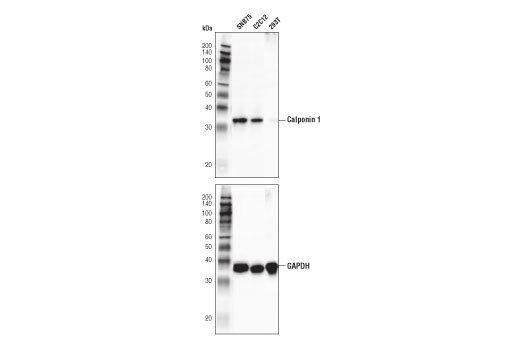 Phosphorylation of EGF receptor (EGFR) at Tyr845 in the kinase domain is implicated in stabilizing the activation loop, maintaining the active state enzyme, and providing a binding surface for substrate proteins (3,4). 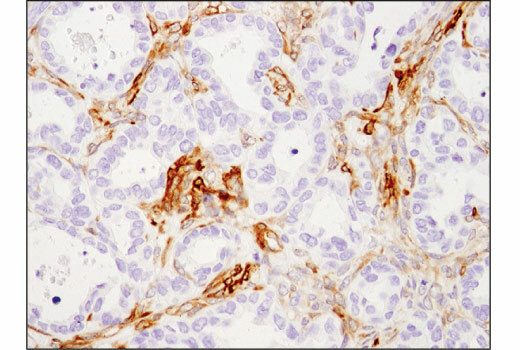 c-Src is involved in phosphorylation of EGFR at Tyr845 (5). The SH2 domain of PLCγ binds at phospho-Tyr992, resulting in activation of PLCγ-mediated downstream signaling (6). 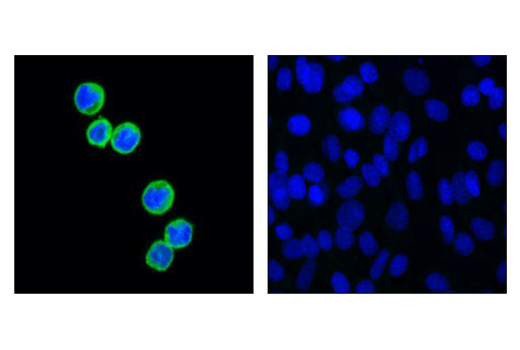 Phosphorylation of EGFR at Tyr1045 creates a major docking site for the adaptor protein c-Cbl, leading to receptor ubiquitination and degradation following EGFR activation (7,8). 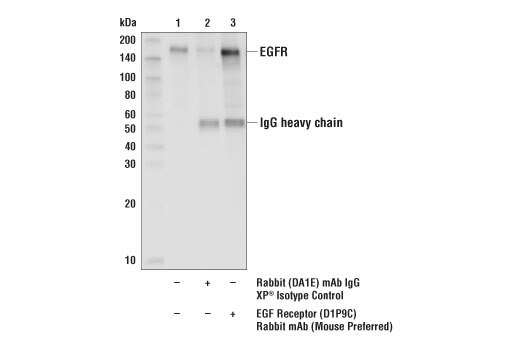 The GRB2 adaptor protein binds activated EGFR at phospho-Tyr1068 (9). 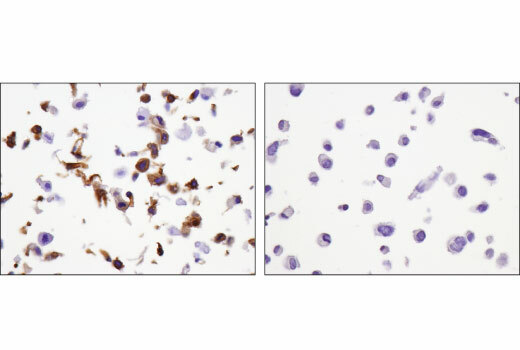 A pair of phosphorylated EGFR residues (Tyr1148 and Tyr1173) provide a docking site for the Shc scaffold protein, with both sites involved in MAP kinase signaling activation (2). 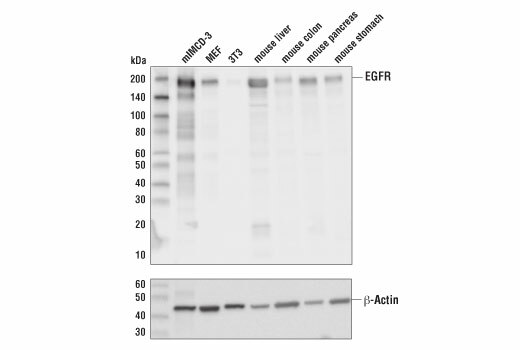 Phosphorylation of EGFR at specific serine and threonine residues attenuates EGFR kinase activity. 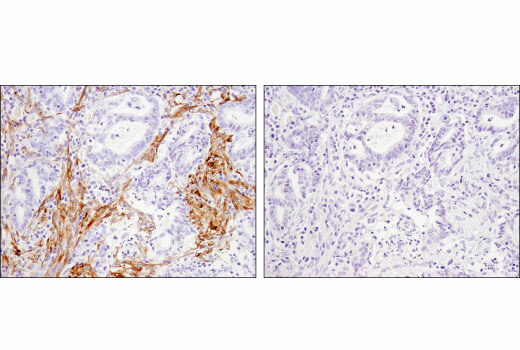 EGFR carboxy-terminal residues Ser1046 and Ser1047 are phosphorylated by CaM kinase II; mutation of either of these serines results in upregulated EGFR tyrosine autophosphorylation (10).